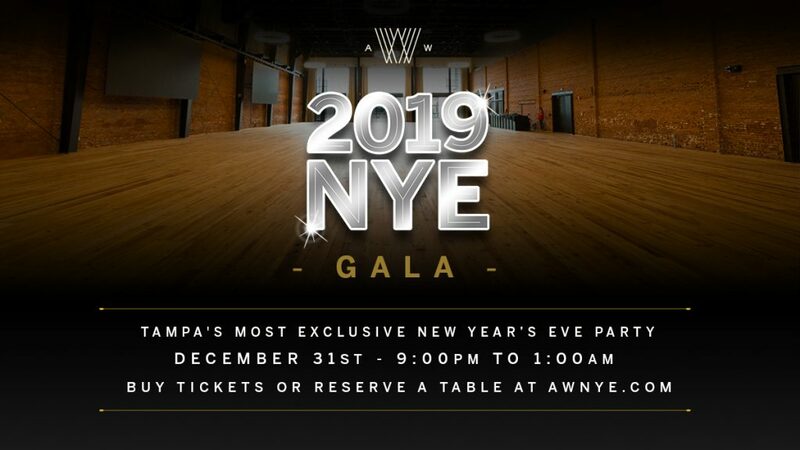 Join us for New Year’s Eve 2019, Tampa’s most exclusive New Year’s Eve party at The Gathering in Armature Works. Dance all night to the beats of a high energy live band and DJ while enjoying a top-shelf open bar, a wide selection of late night hors d’oeuvres, as well as a champagne bar and midnight toast. At midnight head outside to the Armature Works front lawn to catch one of the most elaborate firework displays in the city, with downtown Tampa as the backdrop. The Armature Works NYE Gala is an all inclusive experience and everyone is a VIP. Your ticket includes premium open bar, including liquor, beer, wine, and champagne all night long. As well as live music, DJ entertainment, dancing, and an eloquent evening to remember.